This is another photo of the 15 foot Hammerhead shark we saw off the Jupiter Inlet.In the first photo the shark is about 10-15 feet behind the dead bonita. 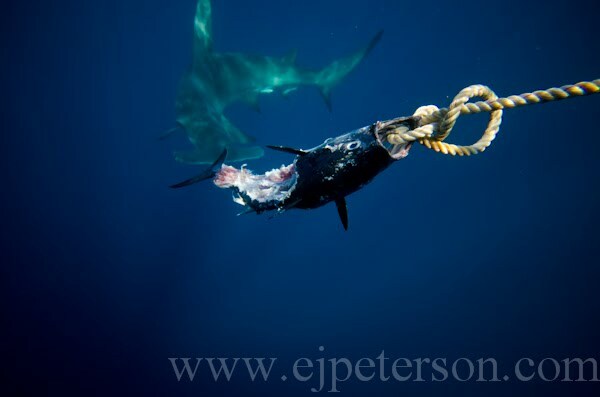 In the second photo the hammerhead is just cruising by. 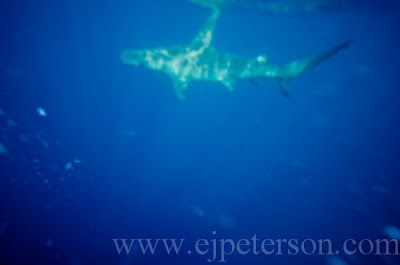 You can tell how huge he was by the size the dorsal fin (even though the photo is out of focus).